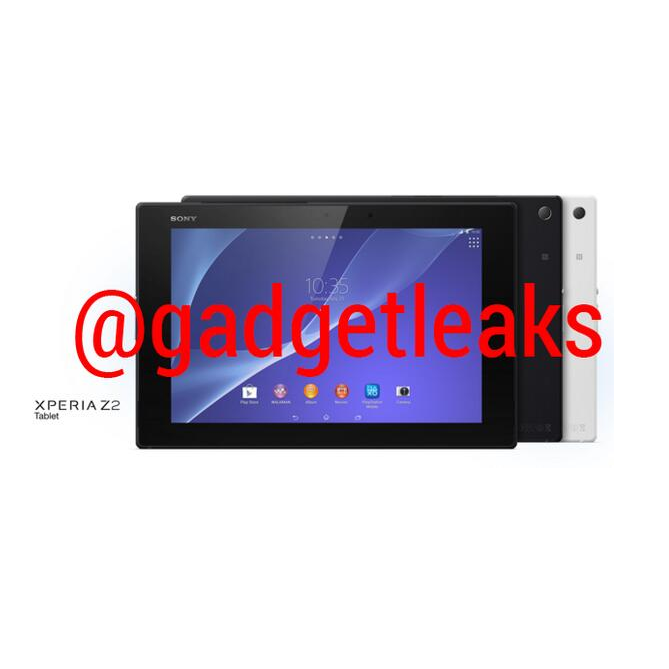 Update: @evleaks may not have been the first one to get pictures of the Sony Xperia Tablet Z2 out, but better late than never (if you could even really call this late). Here he is with an image that looks to confirm what @gadgetleaks has shared. 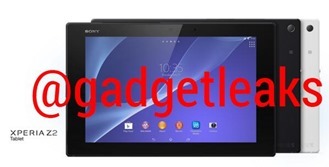 Earlier today @evleaks shared information on Sony's upcoming Xperia Tablet Z2. If his intel is accurate, the sequel to last year's tablet will come with a 10.1" 1920x1200 display, a Snapdragon 800 2.3GHz quad-core processor, 3GB of RAM, 16GB of internal storage, a microSD card slot, a 6000mAh battery, an 8MP rear-facing camera, a 2MP front-facing camera, and KitKat. All of this will be packaged into a waterproof shell. 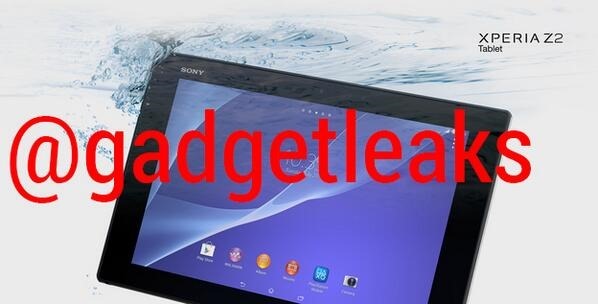 Now Twitter account @gadgetleaks has shared a number of leaked press renders, and if you squint, you can almost even see the tablet behind the obnoxious watermarks. @gadgetleaks, who has only sent out six tweets total, backs what @evleaks has said. The account also adds in a few details of its own. This account doesn't have the street cred built up that @evleaks has, but the images look pretty legit. With any luck, these details will all be confirmed at Mobile World Congress next week.